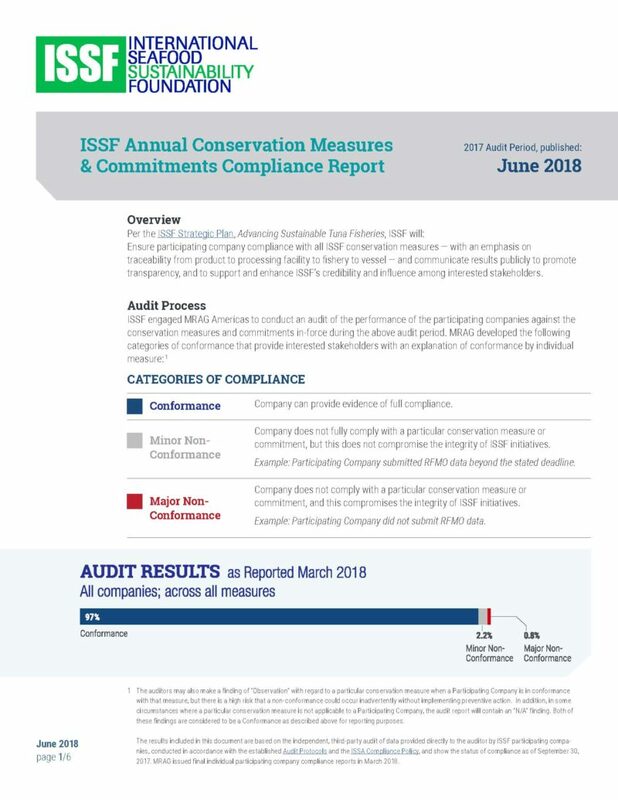 This update, published in November 2018, details the progress made as of October 31, 2018, by ISSF participating companies in achieving full compliance with all ISSF Conservation Measures and Commitments in force as of October 1, 2017. The November 2018 update and June 2018 annual compliance report are our most recent aggregate compliance reports for ISSF participating companies. We also publish audit reports for each individual company. Some of these individual reports — with “Update of Compliance Status” in the title — focus on a company’s efforts to remediate any non-conformances identified in the aggregate reports.